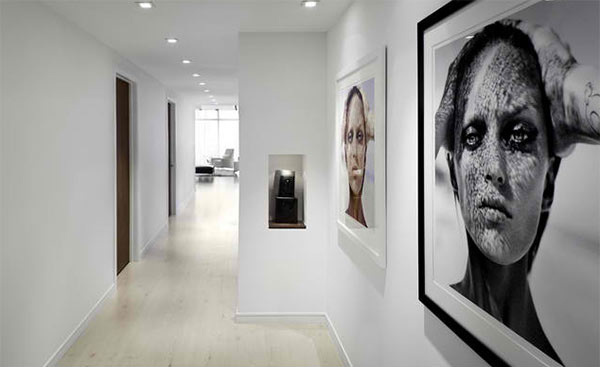 Yes, art works installed on the wall could add more life to our interiors as well as gives it an artistic touch. This visual effect is carried all throughout the house which is of course a good way to avoid being plain and dull. There are different wall arts that we can use like wall sculptures, paintings and even wall clocks. There are also wall decals, murals and others. 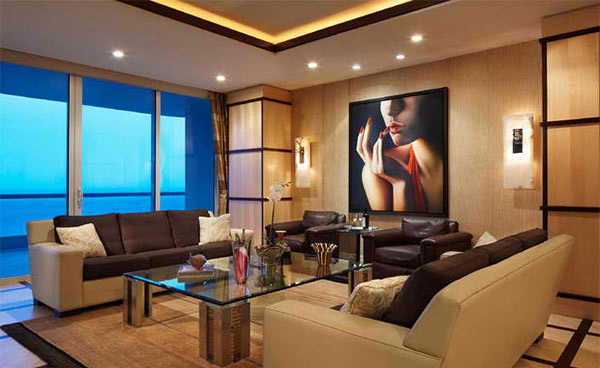 But the most common wall decors that add some personal touch to a space are pictures and paintings especially portraits. 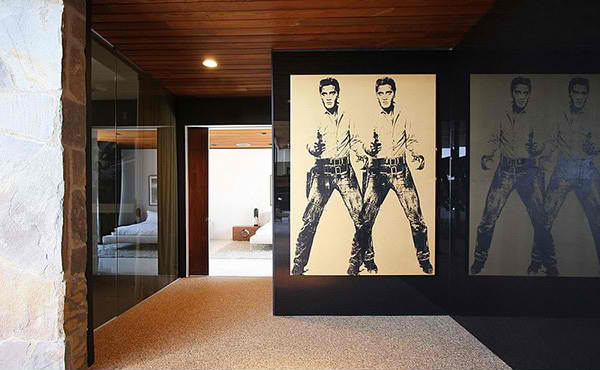 Whether it is a photo of your favorite famous personality or of your own, it will look great as a wall decor. You can have it printed on a large size so it can occupy a huge part of the wall and allow it to spread beauty into the space. We will show you how portraits can create a difference to your home’s interior from the living room and even to the bathroom! Come check the images below and we are sure you will love it! An image of Jacqueline Kennedy Onassis grace this wall in a clean-lined room such as this one, giving it more life and power. This bedroom uses dark navy blue and black lacquer. That wall art complements with those colors! 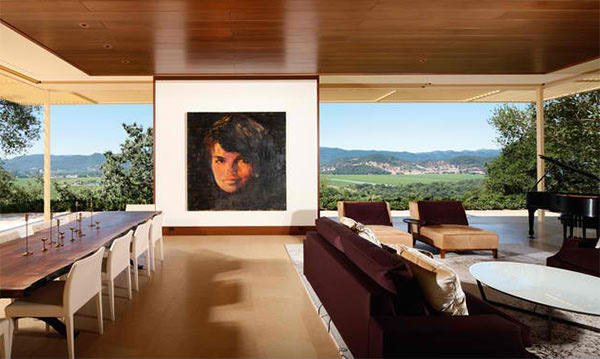 A hallway can never be dull once you add oversized portraits like this. On top of this upholstered wall in wool felt covering is a portrait of Pamela Anderson done by Marilyn Minter. 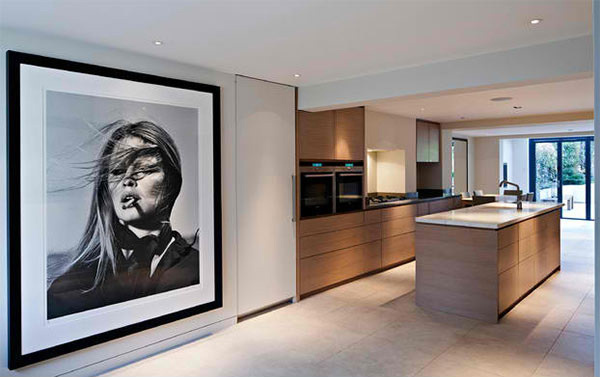 If you have a wide wall that leads to a certain area of the house, add a large framed photo like what this interior have. The kitchen’s cabinets are straight grained oak with a warm grey shellac matte finish. The large photo is a glossy print mounted on gator board which is an interesting addition to this dining area. 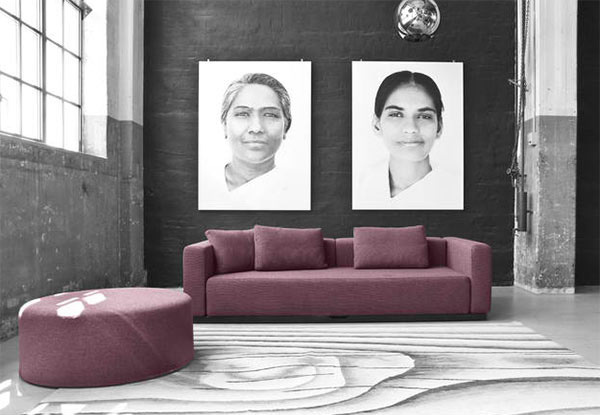 Large artworks add charm to the black wall but what really made this space stunning are the clean lines of the Colorado Sofa Bed from Softline. Now that is indeed an oversized portrait! The mural has a dripping effect as if a painter has allowed the paint to drip while making it. 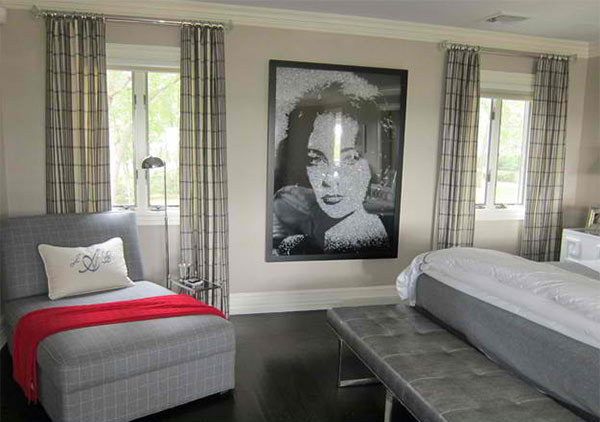 This Liz Taylor portrait done by an artist named Vik Muniz is installed on top of a plain wallpaper. This one bedroom condo ingeniously sleeps five through a secret behind that wall art of rock legend Kurt Cobain. It transforms into a double bed, additional shelves and a single bed! Whoever is this lady in red featured in the portrait is surely stunning! It gives a powerful appeal to this beige living room. 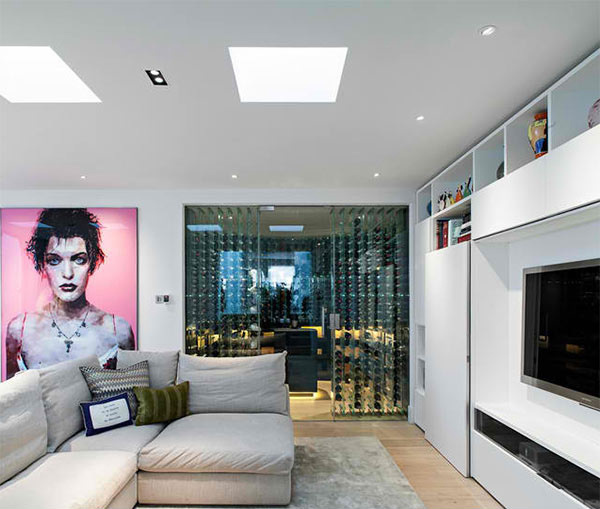 We’d guess this one is a wall partition with a wall art for a contemporary house. Beautiful, right? We tried to look for a better photo that centers the framed portrait but this is all we got. We are sure you wanted to see how a portrait will look when placed on top of the tub! What a beautiful living room that seems to be guarded by this gorgeous short-haired lady on the wall! If you look closely, just beside that portrait is a wine cellar. 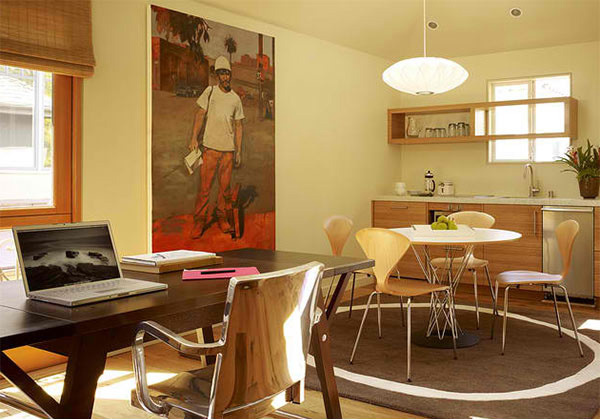 A wall of a home office has a large painting of a man. We think there is an interesting story behind this man in the picture. We love this list and we hope you love it too! You can always choose your portrait of course and you also have the option of either framing it or having it as a wall mural which is larger. Choose what works for you. You can buy prints online or you can also ask for your local printer if they could print a certain photo of you or your child on a large print. You can also see this list of living room mural wallpapers for some inspiration. Come back here on Home Design Lover. We have more to show you! She is a graduate of BS in Electronics and Communication Engineering and is currently preparing to be a licensed engineer. On her free time, she spend it doing things she love like reading and writing.